Experience the oak woodland ecosystem and its amazing biodiversity, including grasslands, marshes and forests. Common sightings include wild turkey, deer, egrets and woodrat stick nests. Wheelchair accessible. Grades K-6. Thursdays 9:30 am-12:00 pm. Learn about the unique geology and botany of this grassland, rich in serpentine soils. Students will learn about the cultural history of the Coast Miwok, while enjoying the panoramic views of San Francisco and Mt. Tamalpais. Grades 2-6. Tuesdays 9:30 am-12:30 pm. 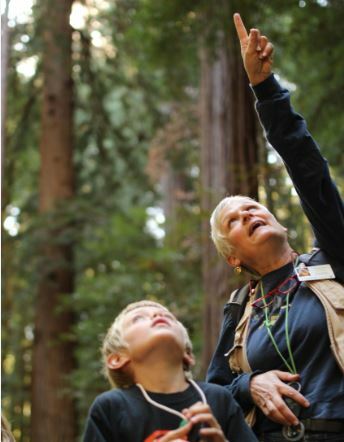 Explore the fascinating ecology of a Coast Redwood Forest. Growing as tall as skyscrapers and living up to 2,000 years, Coast Redwoods provide a unique ecosystem found nowhere else on the planet. Keep an eye out for banana slugs, chipmunks and salmon. Wheelchair accessible. Grades K-6, Thursdays 9:30 am-12:30 pm. $200 per hike. One classroom per hike per day. 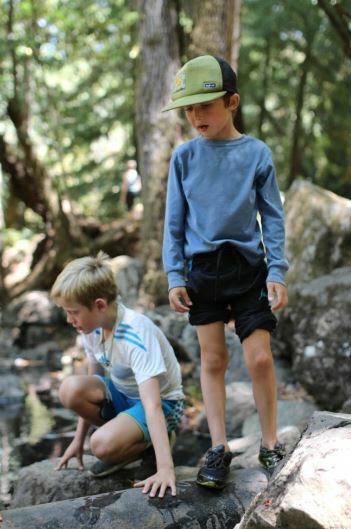 Teachers are required to bring a minimum of 1 adult for every 5 children to ensure a safe and hands-on experience. Our redwood-themed field trips are generously sponsored by the Save the Redwoods League.